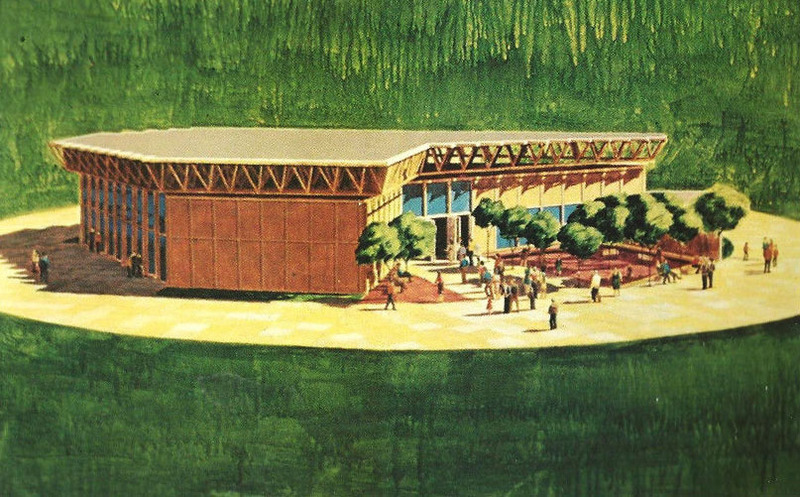 Bell Systems provides a pleasant outdoor patio area - the Telephone Garden - in front of the pavilion. Inside an exciting display and a unique theater. 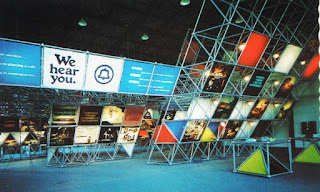 Bell System exhibit hall features a modular display depicting its many exciting facets. 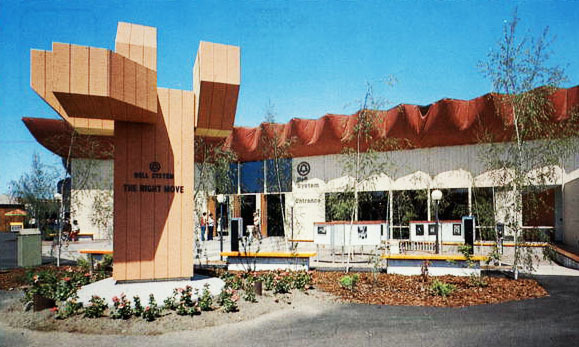 The unique Main Show Theater occupies the other half of the pavilion. The exciting Bell System Expo '74 Pavilion features a fast moving slide show and numerous exhibits on the basic theme "Movement and its importance to life styles."